HR and recruiters can cultivate a strong relationship that will help an organization find and keep incredible employees. Learn everything you need to know about the relationship between recruiters and HR and check out our tips for getting the most out of it! The relationship between recruiters and Human Resources can often be challenging to navigate, especially if the HR representative hasn’t yet worked with a recruiter or if a new partnership is being forged. If a recruiter and HR department work together well, the results can be overwhelmingly positive for an organization that is seeking out top talent to fill a vacancy. The tight collaboration between HR professionals and recruiters can help you completely transform your hiring process! ➡️ Download our free eBook: Transform Your Hiring Process from Reactive to Proactive! Here’s what you need to know about the relationship between recruiters and HR and how to get the most out of the relationship. Recruiters vs. HR: What’s the difference? While there is a bit of overlap between recruiters and human resources, their focuses are largely different from one another. A recruiter’s responsibility ends once a candidate is hired, whereas an HR professional manages the relationship between the employee and the hiring organization on a continuous basis. The HR tasks could include anything from onboarding the client to creating workplace engagement activities to overseeing flexible scheduling options (see more details on HR scheduling tools). Additionally, HR professionals tend to engage in a passive hiring process. In essence, they post a job and wait for the candidates to come to them. Recruiters, on the other hand, usually take a proactive approach, either seeking an eligible candidate for an organization or finding a hiring organization for a candidate. The recruiter will then act as the facilitator between the two. There are different types of recruiters to consider as well. A retained recruiter is someone you work with frequently by keeping them on retainer. A contingency recruiter gets paid either a percentage of what the new employee’s salary will be or a flat rate once someone is hired. The key here is that you don’t pay until they find a successful candidate. The most significant challenges HR and recruiters face while navigating their relationship is communication. Miscommunication can damage a working relationship and result in the loss of high-potential candidates. HR professionals and recruiters need to work together to keep communication clear and manage expectations, as well as defining who will be responsible for what aspects of the process. Essentially, the hiring process should be handled like a project. It’s also worth noting that the relationship will be different between a recruiter who is working for the organization and one who is working for a candidate to find job placement. There are many businesses that refuse unsolicited approaches from recruiters as they’d rather work with someone they know has the best interests of the company at heart. This is ultimately up to the business entity to decide. Some of the cons that stem from working with a candidate-hired recruiter include having limited access to the candidate and having much of your communication filtered. Lack of control over the selection process and a lack of access to information are also seen as significant challenges in working with a candidate-hired recruiter. How can HR and recruiters work together? Many businesses make the mistake of thinking that having an HR person in place negates the requirement for a recruiter. That’s not always the case. If a business is experiencing difficulty in attracting qualified candidates or has an executive position they want filled, then hiring a recruiter can help expand their scope. As much of the hiring process is tedious and takes away from day-to-day tasks, many organizations opt to keep a recruiter on retainer to help find the right person and minimize turnover. The cost is mitigated by streamlining the hiring process and keeping HR workers focused on their daily operations. Tips for HR: How to successfully work with recruiters? To effectively work with a recruiter, HR needs to trust the process and let the recruiter do their job. The organizational goals should be clearly defined with what’s best for the business in mind. Working with an experienced recruiter or having one recruiter on a contract will help facilitate a strong working relationship that yields positive results. HR professionals should be willing to leave the majority of the candidate search to a recruiter, as it’s what they do best. Finding candidates who would fit the role as well as the company culture before someone else hires them can be tricky. With the active approach that recruiters take rather than the passive approach, most organizations use when hiring, securing top talent becomes simpler. HR should see recruiters as a valuable asset for this process. Tips for recruiters: How to successfully work with HR? As an outsider, it can be hard to know exactly what a business wants or expects for its employees. For recruiters, this means asking the right exploratory questions and getting clear and definitive answers regarding the expectations of the organization. It also means managing expectations and explaining your process. Despite the fact that recruiters are often around on a contract basis, it’s important to work with the hiring organization’s best interests at heart. 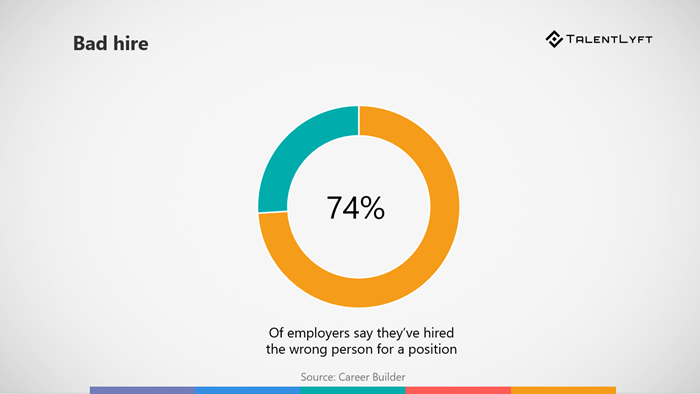 Be honest and both with the hiring organization and the candidates with whom you speak. There are a few ways recruiters can come together and use their role overlap as an advantage rather than a point of contention. Recruiters and HR professionals can have a brainstorming session to help craft a new, streamlined hiring policy that identifies how they’ll work together going forward. They can discuss job requirements, key qualifications and traits that would fit well with the business. Just because a recruiter’s job usually stops at the hiring process, doesn’t mean they don’t have valuable insights about onboarding. Many skilled recruiters come from an HR background, and can thus provide information from both sides of the equation. Spending some time going over the onboarding process and being open to suggestions for improvement is another way HR can make the most of their relationship with recruiters. This benefits everyone involved, as the recruiter will be able to let a candidate know what to expect, helping them feel more comfortable and prepared. Another way that HR and recruiters can be in constant contact is by having the recruiter keep an eye on high performers in the industry and continuously be looking for candidates to consider. This approach will shorten the hiring time by providing a constant flow of candidates that fit the business brand. With a professional attitude and effective communication, HR and recruiters can cultivate a strong relationship that will help an organization find and keep incredible employees. Work together to create new hiring policies that will help contribute to your company culture and employer brand, so that top talent will want to come to you without being recruited.